A Big Victory for William Grill! Yesterday was a very proud day for Flying Eye Books as William Grill became the youngest winner of the Kate Greenaway Medal for 50 years for his beyond brilliant debut picture book Shackleton’s Journey. The Kate Greenaway medal is regarded as the greatest accolade an illustrator can receive, and is unique in that they are judged solely by librarians across the UK and has been awarded annually since 1956. Past winners include Raymond Briggs, Shirley Hughes and previous Children’s Laureates Anthony Browne and Quentin Blake- William was shortlisted amongst stiff competition including the current Children’s Laureate Chris Riddell. It also marks a first win for Flying Eye Books- having set out to publish the most beautiful, entertaining and awe-inspiring books for children, it is a real honour for us as well to have been recognised for this most coveted prize. The judges said of Shackleton’s Journey, ‘The detailed small illustrations wonderfully bring to life the intricacies of life during the journey, whilst the breath-taking larger illustrations provide a strong sense of scale and highlight the enormity of the natural world. This is an exciting, quality book which provides a true experience and reminds us that it is the people, not the journey, that truly matter’. We published the beautiful Shackleton’s Journey in April 2014 to celebrate the anniversary of Ernest Shackleton’s departure on “Endurance” across the Antarctic. William delivers a detailed visual narrative of this extraordinary and historical expedition. William’s beautiful use of coloured pencils and vibrant hues place him somewhere on the artistic spectrum between Raymond Briggs and David Hockney, and his fastidious cataloging of every single detail of the expedition is nothing short of a Blackstock collection. William evokes the atmosphere and intrepid excitement that would have surrounded the expedition with his impeccably researched and detailed drawings. Children will love examining the exploded diagrams of the peculiar provision taken or the individual drawings of the sled dogs or pack horses. This book takes the academic and historical information surrounding the expedition and teams it with powerful illustration for all readers to enjoy. Our deepest congratulations to William, who is so deserved of this success and much more yet to come! The Greenaway judges discuss the shortlist, and ask William some questions. 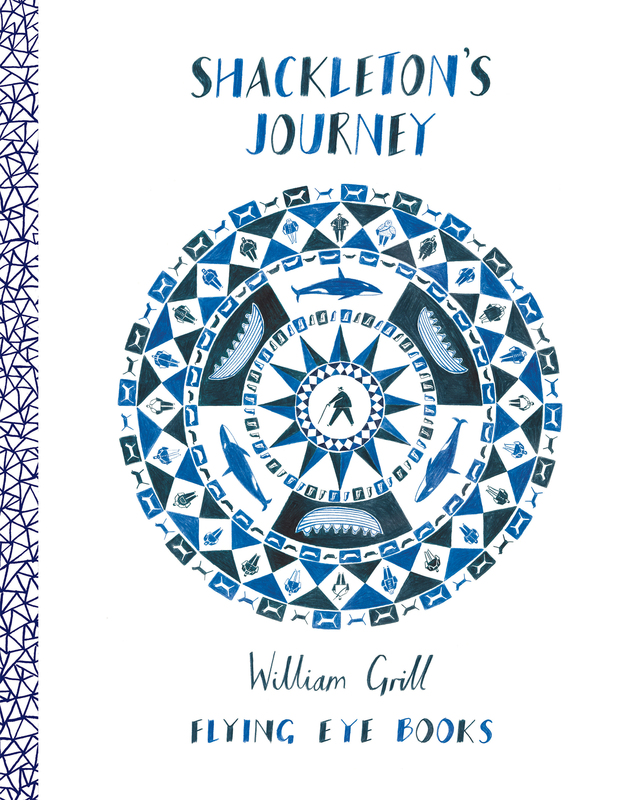 The Guardian spoke to William following the announcement and take a look at some of the pages from the book.
. . . and plenty more online with #CKG15 and #ShackletonsJourney trending on Twitter. You may have also caught William on BBC Radio 4’s Front Row last night or this morning on BBC Breakfast! And don’t forget, you can pick up a copy of Shackleton’s Journey from our webshop! 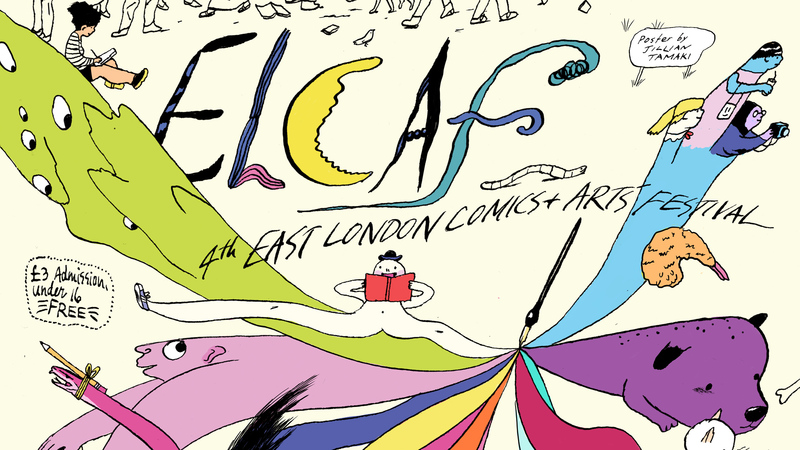 Nobrow’s ELCAF 2015 Signing Schedule! Are you ready for ELCAF?? Well don’t go rushing off just yet – we’ve got some very cool people stopping by who would love to meet you! That’s right, we’ve got signings from some great Nobrow and Flying Eye artists, and we think you should stop by and hang out! It starts on Saturday, with Victor Hussenot at 11am at the Nobrow stand in The Laundry, where he’ll be signing copies of his beautiful and ambitious new book The Spectators. Then make sure to get back to the Nobrow stand at 2:30pm, where Andy Poyiadgi (Lost Property), Joe Sparrow (The Hunter), and Will Exley (Golemchik) will be hanging out and signing their brand new 17x23s. Also, if you’re catching Sam Bosma’s talk at SPACE, make sure to stick around at SPACE where you can meet the man himself right after his talk. He’ll be signing your copies of Fantasy Sports at 4pm. Don’t miss it! The fabulous Emily Hughes will be kicking off the Sunday festivities at the Nobrow stand in The Laundry. She’ll be in at 11am, ready to sign your copies of Wild as well as her latest book, the touching The Little Gardener. Andrew Rae, author of the rockin’ Moonhead and the Music Machine will be signing books and banging his head at 1pm, then the always amazing Luke Pearson, creator of the beloved Hilda series will be coming in at 2pm to sign your books and maybe drop some hints about what’s next for Hilda? Then at 3pm we’ll share some laughs with the very fun and very funny author of Adventures of a Japanese Businessman and the upcoming Pablo & Jane and the Hot Air Contraption José Domingo! All around cool guy Ricardo Cavolo will be closing out this full day of signings at 4pm to meet you and personalize your copy of 101 Artists To Listen To Before You Die. Finally one of the coolest Nobrow books is made even cooler! Be sure to thank Ricardo for making you the envy of all your friends and rivals.